Hello Per, since you mentioned the subject of Crémant d'Alsace and its importance in general to the region, I'd like to ask you: is there any specific reason why almost none of the "big name" négociants or the most well-known domaines seem to produce Crémant? Has it perhaps been seen as a lesser wine, unworthy of them? Good point! It is true that none of the 1-2 mill bottle negoces Trimbach, Hugel or Lorentz make crémant. We would have to ask Etienne Hugel, but I think the logistics and space would be limiting. Also, firms such as Dopff au Moulin and Wolfberger are already huge in crémant, which probably is a somewhat different market than still wines with a barrier of entry. 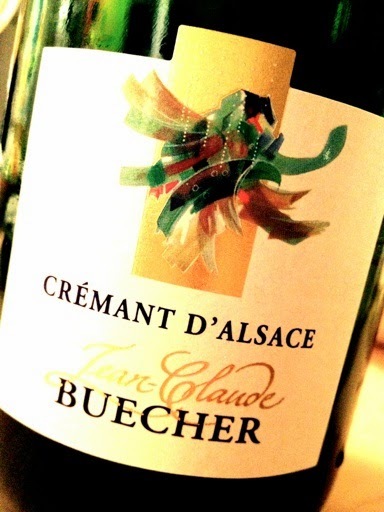 But if we look at the domaines ranked *** by La Revue de Vins de France, 2/5 make crémant (Boxler, Albert Mann). Of the ** domaines 7/11 have bubbles on their card, as well as most of the * domaines. Oups! That was more Crémant-producing domaines than what I would have expected. I've actually visited Boxler and I don't remember tasting any Crémant! René Muré is the only high-class domaine where I've done so (and they produced more than one) - perhaps they are one of the 7 out of 11? So, it seems I definitely underestimated the production of Crémant at small producers!